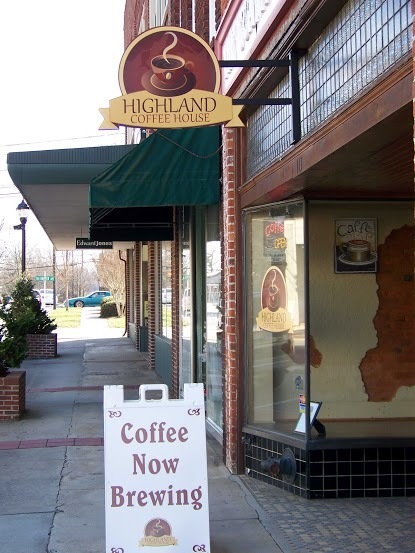 Talking about Olive Kitteredge Thursday at the Highland Coffee House marked a couple of firsts for me: my first book club meeting, and my first discussion of a book with a group composed neither of students nor colleagues. Our conversation offered me a welcome reminder of the lives of books beyond the classroom. The members of the Coffee Talk Book Club, sponsored by Caldwell County Public Library, read constantly and widely. The June, July, and September selections (the club takes a holiday in August) reflect the members’ penchant for variety: a recent Pulitzer Prize winner, a courtroom drama, and a nineteenth-century English classic. We considered Olive Kitteredge as a collection of linked stories, but our talk focused primarily on matters of character and theme. I’ve been meditating on the book’s structure though, because I plan to grow a novel from one of my own stories. After examining how the stories of Olive Kitteridge form a novel, I’ve concluded that three could be omitted. And I’m curious about the book’s genesis. The two stories that Thomas refers to, but doesn’t name, are “Ship in a Bottle” and “Criminal.” Both feature a former student of Olive’s who recalls something that Olive said in her seventh-grade math class. In “Ship in a Bottle,” Julie tells her younger sister, Winnie, how Mrs. Kittredge said, “Don’t be scared of your hunger. If you’re scared of your hunger, you’ll be just one more ninny, like everyone else” (195). In “Criminal,” Rebecca remembers Olive once stopping her in the hall and saying, “If you ever want to talk to me about anything, you can” (242). 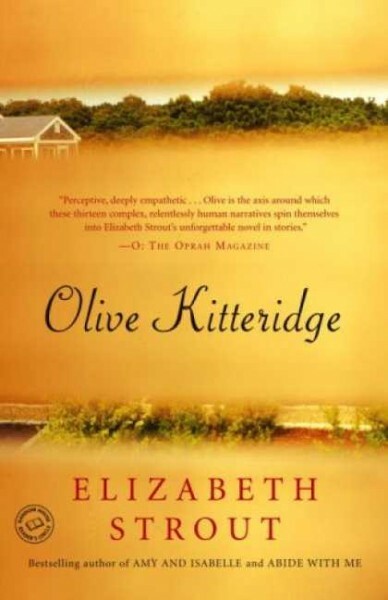 Both stories appeared in the pages of magazines years before the publication of Olive Kitteridge in 2008. (“Ship in a Bottle” as Running Away” in Seventeen in 1992, and “Criminal” in South Carolina Review in 1994.) When Elizabeth Strout wrote those stories, had she begun thinking of Olive as the anchor of a book? Whatever the case, Olive’s mere mention doesn’t warrant the inclusion of either story, and the novel doesn’t need them. Nor does it need the “The Piano Player.” Though it’s an admirable story, the life of of Angela O’Meara, the piano player of the title, doesn’t intersect with Olive Kittredge’s. Olive simply passes through the piano bar. Her cameo prompts me to wonder if Strout drafted “The Piano Player” sans Olive, adding her later only so the story could serve as one of the novel’s chapters. Strout, Elizabeth. Olive Kitteredge. New York: Random, 2008.